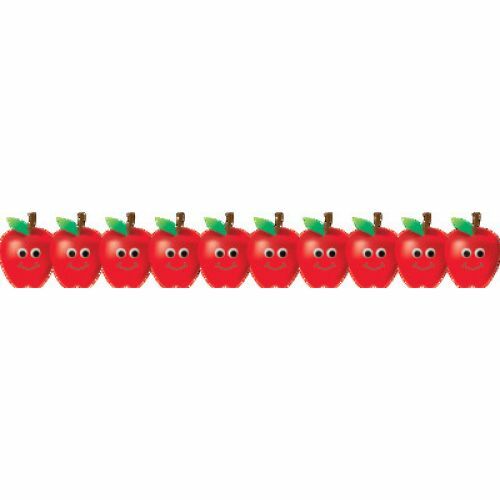 With bright and smiling faces, these apples aren't just for the teacher. Your students will be beaming too when they are greeted by these cheery apples! Six 36? strips of delicious smiles transform your classroom into a place of excitement for the school year ahead. 3" x 36'.